Digico and Waves have used the Prolight + Sound show currently taking place in Frankfurt to announce a new method of integration that will allow users to maximise the potential for additional new features on both the Waves and SD platforms. 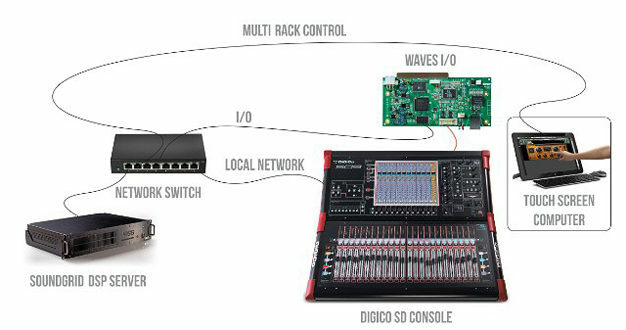 Digico SD consoles will now be able to integrate with a Waves Multirack system, which is running on an external PC, while maintaining a high level of integration. This integration will continue to use the low latency Waves I/O interface built into SD consoles for audio routing and will also include the existing standard session, snapshot and plug-in control for advance, faster and smooth show control and automation. 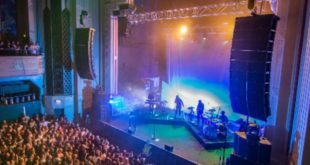 The integration will allow the use of Waves’ latest plug-ins to expand the engineer’s sonic options. Further enhanced control implementation is being planned, allowing users to take full advantage of both platforms and their combined functionality. The company’s say this will allow them to provide an even better user experience as both Waves and SD console upgrades continue. 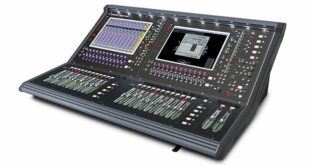 Digico is showing its entire range of SD and S Series consoles on its stand F50, hall 3.1 at this year’s show, including the latest SD12 console which was first revealed at NAMM. 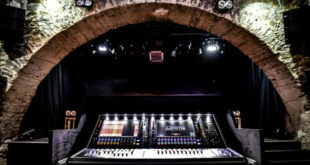 The company also revealed a new Digico S App for controlling S Series consoles straight from an Apple iPad, as well as a newly designed 32-bit SD ‘John Stadius’ mic pre-amp card.